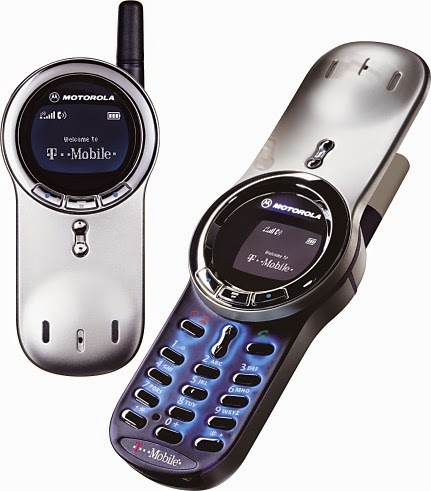 This almost forgotten handset is clearly the inspiration for the new Motorola AURA. Launched in 2002, the V70's rotating function was just as unusual as it is today, but the rest of the technology in the V70 was looking a bit dated, even for 2002. Like the AURA, the V70 was expensive at launch.. our research shows us that the asking price was around $750 or so.. but that's still a lot cheaper than the $2000 price tag for the AURA. The Motorola V70 was a dual-band GSM phone with a rectangular 96 x 64 pixel monochrome display, a simple WAP browser, GPRS, vibrating function and voice dialling. It was a pretty lightweight handset at just 83 grams. Modern essentials such as Bluetooth, a camera and colour display were absent. Today the V70 is almost completely forgotten, but it appears that it is quite a collectable device.. and it seems that someone in Motorola certainly remembers it!